For me, the news of a upcoming release of a book by Suzie is something that always makes me smile when I read it. She has a way of writing which makes every book a joy to turn the pages of, something for her readers not just to enjoy, but also to reflect and learn from. This joy of expression and skill in creativity shines through in her characters, which she gives so much of herself and her own experiences to. They’re the kind of people you want to get to know and spend time with. But it takes the change in perspective the experience of a scuba diving course which gives Sarah the push to overcome her final fear (and which gives the book its title) and commit to the moment and the simple joy of just being. Accompanied by Frenchy who, herself is overcoming her own personal trauma they travel to Bonaire and experience the vast, colourful silence of ocean diving, which opens Sarah’s eyes to what she has become. Changed, from that moment, romance and longing lead to relationship with Jolene and the final chapters of their story. There’s so much to enjoy in this book, not just for the realness and beauty of the characters, but also their expression, their frailties and the journeys. Sarah’s story is one of the exploration of life to find joy, freedom, wedgieless knickers and non cannibalistic escalators. Not being afraid to lose control or ownership of the material things that you don’t really want and seek out those experiences that bring real value and meaning to these precious moments we spend on earth. It’s a story of the benefits that taking a risk can bring and never being to be too old, too afraid or too closed minded to try. I particularly like Frenchy’s approach to getting over a bad relationship, she has a “good Will”, well actually more than once. It’s a beautiful book, something to treasure and not just read once, but to return to again and again. There’s a particularly lovely section about the various meanings of friendship which has been highlighted by a number of readers in the kindle edition, which is worth reflecting on a moments in your life. I don’t know about you, but I love this feature in my kindle. It adds layers and insight into what the book means to people and what they are reading into it, which you just don’t get outside a book club. There are lots of notes and highlighted sections in this one, a sure sign that its come to mean a great deal to the people who’ve read it. I bought this book recently and was so pleased it came just before my short break in the lake district. I’ve been a fan of Juliet’s for ages and was absolutely thrilled when I heard she was working on a book and even more excited to get my hands on it. With the mainstream media adopting an increasing number of transgender personalities and their stories into their regular broadcasting, it would be easy to lose sight of something as special as this book. But what makes it so good ? 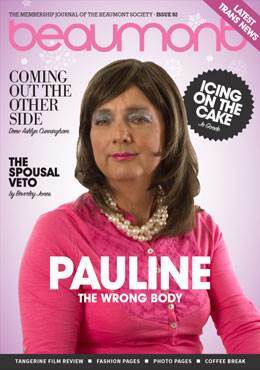 Well, firstly, it’s written in such a personal, enjoyable style, but if you knew her, you’d expect that. She is a talented journalist and writer, regularly appearing in UK national newspapers and magazines. Even with that expectation though, you still aren’t prepared for how good it is, which is for the second reason. “Trans – a memoir” is Juliet’s own personal and very detailed account of what it’s like to be transgender. Even being trans myself, I learnt a huge amount from reading it, not least of which was once you pick it up, you can’t put it back down again !!! A definite must read for anyone interested in learning about transgender issues. I would describe it as an honest, funny, brave and moving story through gender expression and maybe even feminism. More than that, it’s about gender variance and it’s difficult interaction with social acceptance. It beautifully describes Juliet’s experiences in such a moving way, you’re struck by not just how likeable and brave she is, but also how much you want her to be her friend (seriously – she’s SO nice !!!) She deals with really difficult situations through her transition with an inner calm and voice which should act an inspiration and model for people going through their own transition. It’s all in here, self acceptance, the frustration with the NHS, recognition from family and friends, feeling good in your own skin afterwards, it’s all in here. Intimately told, it’s a fascinating personal stories that will linger in the mind and memory long after you’ve archived it back to your library shelf to look at with happy memories. I genuinely hope you don’t just read this review, either here or on Amazon, I wish that you go out and buy it. 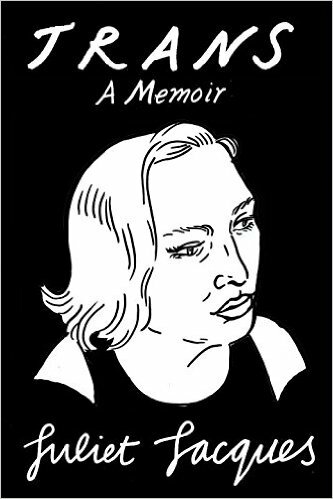 It’s a great addition to the increasing library of meaningful trans literature and manages to explain the intricacies of a huge variety of genders and sexualities, the history of feminism and transgender, ethical dilemmas of confessional journalism, and a lot of Trans film and culture while weaving it all through her own story. Personal and political and incredibly well executed. Her writing on depression is incredibly sensitive and eloquent. This is written so well. Gives a very detailed experience of what it’s like to be transgender – I learnt a huge amount from reading it, and could not put it down. A definite read for everyone. Would happily recommend this as a worthwhile addition to the libraries of trans people out there from an important woman. Read it, treasure it and celebrate it. You can buy “Trans – a memoir” at the following link – as I said, it’s available in a variety of formats – pick your favourite and dive in !!! The hangout I belong to on Facebook recently decided to go a little outside its comfort zone and read a debut book from an author and a little under a month in I have to say their choice has turned out to be an utter joy. I really enjoyed this book from cover to cover, there were a lot of lovely touches to the story. The story itself is of two women finding each other after a concert that features the Band our heroine (Jessie) plays in. Zoey is initially dating Neal the bands lead singer, but is drawn to Jessie following an introduction by Neal after the band plays at a “battle of the bands” style concert. What follows is a really lovely story about two women finding themselves through their developing relationship, dealing with issues like disapproving parents, luke warm acceptance from friends and another set of parents. Then there’s the difficulty of Zoey extracating herself from her relationship with Neal too. Worse than that, there are a couple of scenes as the book develops which threaten Zoeys and Jessies relationship as well. Blythe uses Zoey’s character to explore a really interesting perspective on this style of relationship as well, in terms of Jessie’s maturity as well as Jessie’s life’s experience to explore the subject of trust in a relationship. The story moves along at a really easy pace and keeps you hooked with the detail that’s included within it. One nice detail that Bythe returns back to is using the underlying theme of the band and music to describe the scenes with. She picks out bands and song lyrics, bands style of music and also artists to give an extra insight into what each character is feeling at a particular point in the story. It’s a really nice touch. Another thing that I really enjoyed were the love scenes between Jessie and Zoey. They are so well written, not too graphic or lewd, but tender and inviting, much the same way as the rest of the book is written. Perfectly in tune with the characters, story and their relationship. I’d thoroughly recommend this book to anyone looking for a perfect Sunday morning read, whether it’s on the beach on holiday, in bed with your favourite croissant of choice or lounging in your favourite jumper in your comfy sofa. It’s a really lovely story from a new author that you might not have heard off before, but is well worth looking for more from when she publishes her next. Who knows, she might even write a sequel which would be a nice touch !!! You can download “My best friends girl” from Amazon by clicking the following link – why not give yourself a little pressie and a treat for your kindle ? I’d love to hear what you think if you do !!! Yay !!! What a wonderful book !!! Simply one of the best books I have ever read in this genre. It’s a story about chocolate, about a charming small town and its adorably quirky people and about finding yourself. It’s just a great way to spend an evening with a glass of your favourite drink, maybe one or two of your favourite nibbles and what your kindle was made for !! It’s beautifully written. I couldn’t help but fall in love with the main characters Molly and Jordan. Both have to deal with the loss of Cassie in their own way. I really enjoyed how their relationship develops and how well written the slow realization and acceptance of the situation settles upon the characters. The intensity between the two main characters was captivating and suspenseful. 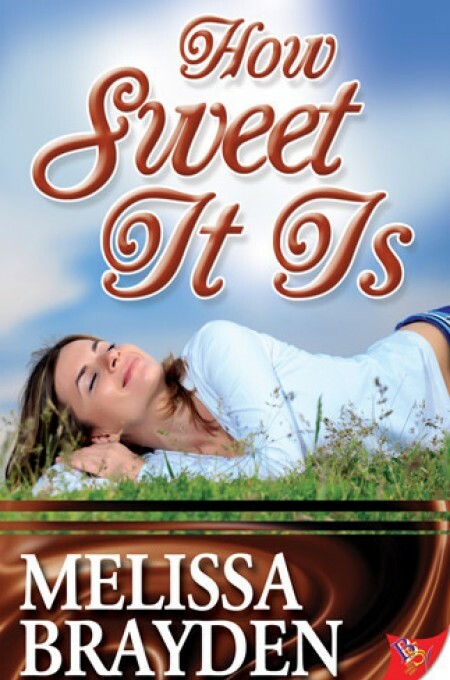 Melissa is a superb writer and this book showcases characters with distinct and fun personalities. There aren’t any of the obvious character flaws or annoying stereotypes and there wasn’t any of the insta-lust/love stuff that seems so common in this genre. The intimate scenes between the characters are exciting with Molly and Jordans developing relationship told in a realistic, believable way, which truly make you feel like you were stealing a glimpse into someone’s life (I particularly enjoyed how Molly changed so spectacularly over the course of the book (the scene where she is talking to Cassie’s grave about how she is going to move on was just so beautifully poignant). The book even concluded in a satisfying way by tying up all the loose ends and questions I had in a very pleasing way. If you’re the type of person who is looking for the darker and more emotional tones throughout a book – I’d strongly encourage you to check this out. If you’re like me, and are looking for a more fluffy read, you may want to consider waiting until you’re in the mood to have your heart stabbed a few times. This story makes me want to have more. I really hope for a sequel, there is so much more to tell about the enchanting little town of Applewood and especially Molly and Jordan. 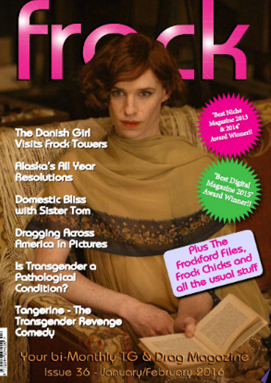 One of the questions I’m often asked across user forums and via email is, which Transgender magazine is it best to get ? Well, in my experience, best is a relative word, which will have different meanings for all of us, depending on our personal preferences. So rather than recommend a magazine, the table below gives answers to the kind of questions that I typically get asked. Hopefully, this helps you make the best decision for you. Prices were correct at the time of article publication. This is only a review of the magazines, there are a number of support sites and online forums which offer useful news and information. I’ll get round to reviewing some of these at a later date. All of the magazines below will offer a free version to allow you to see what you are buying. Make the most of this offer as the content varies greatly between them and what’s best for you will reflect your personal preferences. In short, try before you buy !! If you’re still in the closet, an online subscription or access point will make most sense for you. Although most online magazines can be viewed via your smartphone browser, for convenience and security, an app is best. If you access via your mobile phone browser, then don’t forget to clear your cache history on exiting. The last edition of Repartee will be edition 82, after which it will only be an online version. Back issues will be available only as long as stock allows. Do you have a personal favourite out of the ones I’ve looked at ? Or perhaps I’ve missed one that you like (sorry) let me know in the comments section below ! !